My research is focused on socially situated cognition broadly defined. Some of the research foci I have within socially situated cognition address the grounding of concrete and abstract concepts. How do specific modalities ground basic concrete concepts such as those representing emotional states or actions, but also abstract concepts such as time, politics, and affect? The other areas that I have research expertise are language and its relation to cognition and emotion as manifested in language use. Semin, G. R., & Smith, E. R. (Eds.). (2008). Embodied grounding: Social, cognitive, affective, and neuroscientific approaches. New York: Cambridge University Press. Foroni, F., & Semin, G. R. (2011). Not all implicit measures are created equal: Evidence from an embodiment perspective: Journal of Experimental Social Psychology, 46, 867-873. Foroni, F., & Semin, G. R. (2011). The Effect of Mimicry on Evaluative Judgments. Emotion, 11, 687-690. Foroni, F., & Semin, G. R. (2009). Language that puts you in touch with your bodily feelings: The Multimodal Responsiveness of Affective Expressions. Psychological Science, 20, 974-980. Lakens, L., Semin, G. R., & Garrido, M. V. (2011). The sound of time: Cross-modal convergence in the spatial structuring of time. Cognition and Consciousness, 20, 437-443. Smith, E. R., & Semin, G. R. (2004). Socially situated cognition: Cognition in its social context. Advances in Experimental Social Psychology, 36, 53-117. Ijzerman, H., & Semin, G. R. (2009). The thermometer of social relations: Mapping social proximity on temperature. Psychological Science, 20, 1214-1220. Semin, G. R. (2011). Culturally situated linguistic ecologies and language use: Cultural tools at the service of representing and shaping situated realities. In Advances in Culture and Psychology, 1, 217-249. Semin, G. R. (2011). The Linguistic Category Model. In P. A. M. Van Lange, A. Kruglanski, & E. T. Higgins (Eds. ), Handbook of theories of social psychology. London: Sage. Semin, G. R. (2007). Grounding communication: Synchrony. In A. Kruglanski and E. T. Higgins (Eds. ), Social Psychology: Handbook of Basic Principles (2nd ed., pp. 630-649). New York: Guilford Publications. Semin, G. R., & Cacioppo, J. T. (2009). From embodied representation to co-regulation. In J. 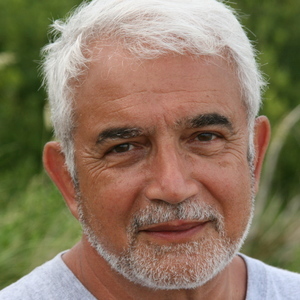 A. Pineda (Ed. ), “Mirror Neuron Systems: The Role of Mirroring Processes in Social Cognition.” (pp. 107-120). Humana Press. Semin, G. R., & Cacioppo, J. T. (2008). Grounding social cognition: Synchronization, entrainment, and coordination. In G. R. Semin & E. R. Smith (Eds. 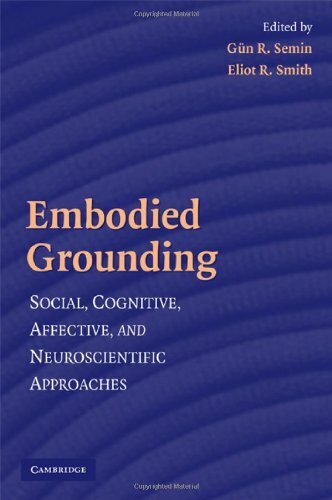 ), Embodied grounding: Social, cognitive, affective, and neuroscientific approaches (pp. 119-148). New York: Cambridge University Press.